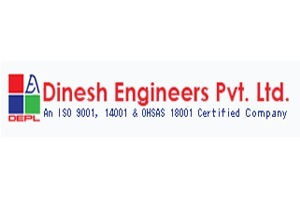 Dinesh Engineers IPO consists of 1,00,00,000 equity shares. The article herein covers various details about Dinesh Engineers IPO Review and includes topics like the IPO size, IPO date, IPO price band, IPO objective, IPO subscription and allotment status, company’s background, promoters details and many other relevant things that one should be aware of for deciding whether to hit on this IPO or not. Dinesh Engineers Limited, a Mumbai based company, is a communication infrastructure provider and caters to the telecom operators. Dinesh Engineers has an authorised share capital of Rs. 40 crores consisting of 4 crore equity shares having face value of Rs. 10. The IPO being floated consists of 1,00,00,000 equity shares. This is a fresh issue i.e. the shares are not being sold by the promoters or the existing shareholders. The face value of each equity share is Rs. 10. 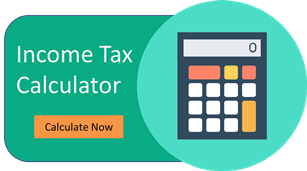 The paid-up equity share capital as on the date of the prospectus is Rs. 29.50 Crores. Hence, the new capital being raised can be said to 25% of the post-issue paid up capital of the Company. The lead manager handling this is Hem Securities which is based out of Jaipur and the registrar to the offer is Link Intime. The object of the IPO has been discussed in the subsequent paras in detail. The release date for Dinesh Engineers IPO is 28 Sept 2018 – 3 Oct 2018. The price band for Dinesh Engineers IPO is Rs 183 – Rs 185 Per Equity Share. The IPO issue size is 10,000,000 Eq Shares of Rs 10, aggregating up to Rs 185.00 Crores. The Minimum Order Quantity or Market Lot is 80 shares. The Company was incorporated in 2006, is passive communication infrastructure provider Company in India, focused on providing passive communication infrastructure services mainly to the Telecom operators and internet service providers (“ISPs”). Dinesh Engineers Limited is working towards executing the fiber laying work for many Telecom Operators. The Infrastructure Company has been licensed by Department of Telecommunications (DoT) with the Infrastructure Provider (IP)-I License, under which they can establish and maintain wired networks, Duct space for the purpose to grant on lease or sale on IRU basis to the licensees of Telecom operators, ISPs etc. turnkey services to various Telecom network operators & broad band Service operators across the states of India. The numbers give a growth and an increasing trend which makes the IPO look lucrative. The PAT figures seem to be ahead of the revenue figures in terms of growth. Also, the EPS indicator has shown a tremendous progress. Promoters are also the Directors of our Company and can be said to be interested to the extent of fees for attending meetings of the Board or a committee thereof as well as to the extent of remuneration, commission and reimbursement of expenses payable to them. Promoters are also interested to the extent of Equity Shares held by them in the Company and also to the extent of any dividend payable to them and other distributions in respect of the said Equity Shares in the Company. Promoters have no interest in acquisition of land, construction of building and supply of machinery undertaken by the Company. of market demand for the Equity Shares offered through the Book Building Process and on the basis of quantitative and qualitative factors.